This church had a cache but the hide was compromised when the decrepit bench around the tree in the triangle opposite the church finally met its demise. Roman soldiers camped here overnight whilst marching between London and Colchester. Remains from the occupation can be seen in the tiles which have been incorporated into the church walls. 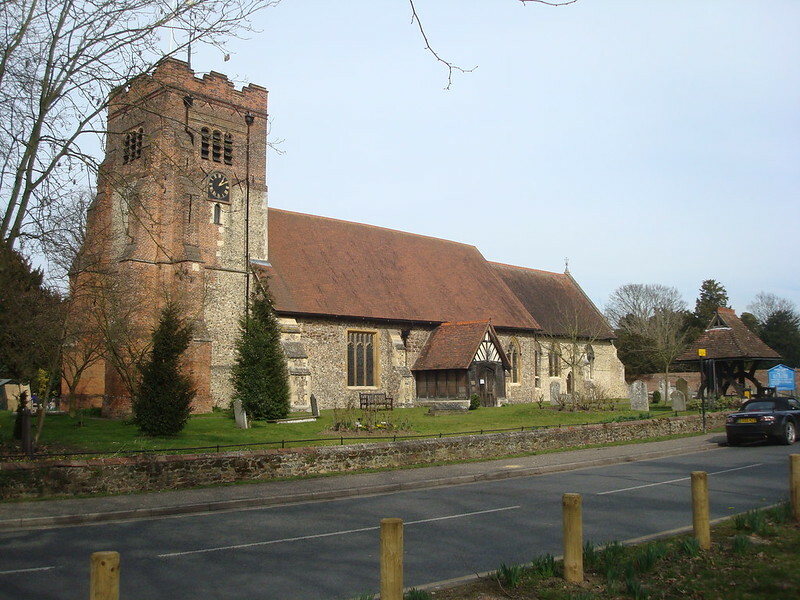 The nave of All Saints was built in the late 11th century by Ralph de Peverell, reputedly a natural son of William the Conqueror. 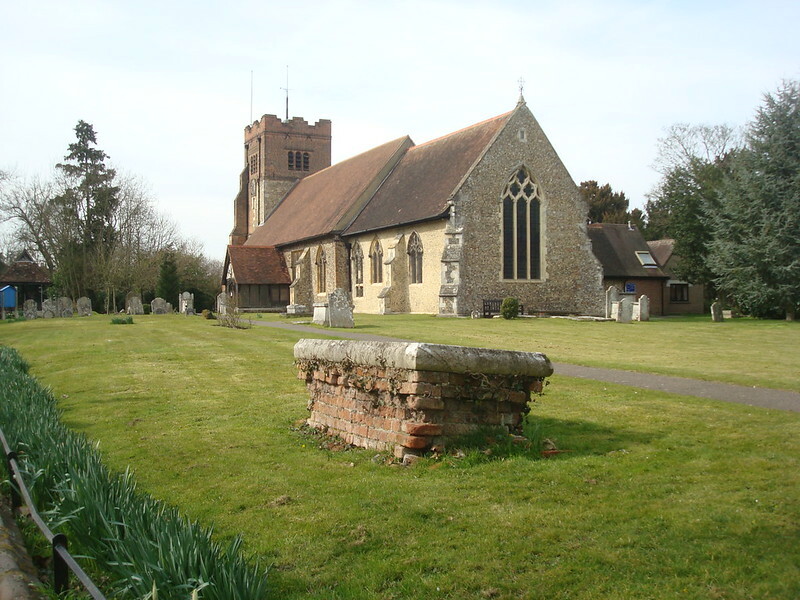 It is reputed that Ralph found a Saxon wooden church on the site with a thatched roof and given its state of disrepair, ordered a new stone church to be built in its place. During the 14th century the nave was extended to its present length, the chancel was rebuilt, and the tower was added, though the tower had to be rebuilt in 1586 following a partial collapse. There are three sundials scratched on the chancel south doorway that showed the times of services. The area may be quite busy at times and the hide is only accessible by crossing the road so please ensure you take care when searching and replacing!